Curated by Sagan Editions as part of Toronto Art Book Week. Layne Hinton thinks about the future. She even titled the experimental transformative art festival she co-directed last year ‘in/future’ which exhibited 100 artists and performers from multiple arts disciplines at Ontario Place in Toronto. Since 2010, when we were both in art school together, Layne has worked as a co-curator of Art Spin, the team behind ‘in/future’ who facilitate mobile art experiences that take hundreds of cyclists on tours of art in unexpected places throughout the city. Hinton’s integration of alternative spaces, those spaces whose identities are fragile and are subject to changes through time, into the art world are at the heart of her curatorial practice. She’s a master at organizing exhibitions in abandoned or soon-to-be demolished spaces and selects artists who make work in response to the site. These exhibitions often explore ideas around infrastructure in Toronto, public space and urban densification. Alongside this curatorial work Hinton has a dedicated studio practice, where she imagines alternative spaces and structures through drawing, collage, printmaking and sculpture. 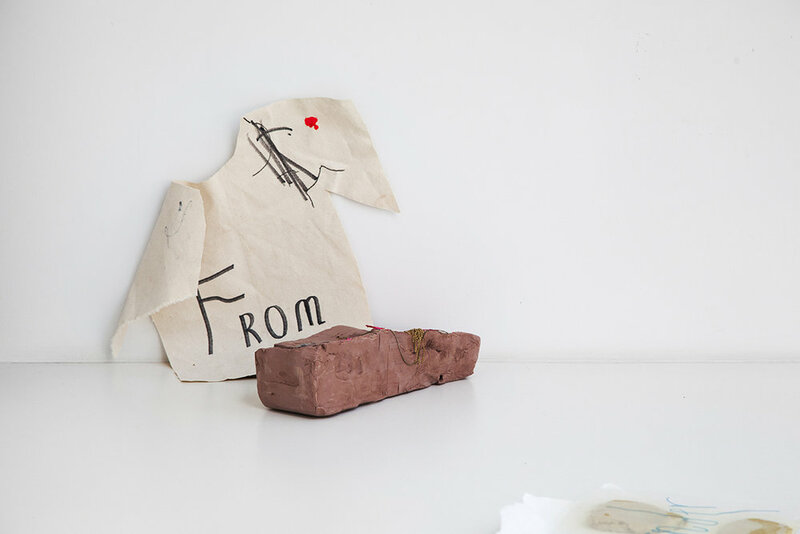 By continuously rearranging made and found objects in her studio, she explores new relationships between forms. These stacked assemblages reflect the temporary nature of her curatorial work with Art Spin, and often resemble cityscapes. Hinton’s mesh sculptures and geometric prints use frameworks of triangles, polygons and cubes while drawings of scaffolding and peculiar houses line her sketchbook. The analog projectors she builds examine how light and shadow play with space. Through a multidisciplinary approach, Hinton’s work reads as forward-looking blueprints of an imagined city - with spaces she dreams of taking over and transforming through creative activations. Until recently, Hinton has regarded her work as a curator and that as an artist as separate pursuits. Through our conversations the direct relationship between them has become clear - Hinton focuses on and interrogates the future of city building, and art’s place within it. Site Lines is a solo exhibition of Layne Hinton’s new body of work at SOUVENIR curated by Sagan Editions from June 1 - 18, as part of Toronto Art Book Week. Please join us in celebration on Saturday June 17, 2:00pm - 5:00pm. Based in Toronto, Layne Hinton is a multi-disciplinary artist and independent curator. Her work often explores light and shadow, collections and multiples, and architectural forms through analog projection, sculpture, video, drawing and printmaking. Continuing her exploration of space, Hinton co-curates site-specific work as a member of Art Spin, a not-for-profit organization that presents unique, site-responsive projects in alternative and under utilized public spaces. Hinton holds a BFA from OCAD University in Integrated Media, with a minor in Printmaking. She has received awards including the InterAccess Prize, OCADU Printmaking Award and OCADU Faculty Film/Video Scholarship. Hinton's work has been shown at the Art Gallery of Ontario, YYZ Artist's Outlet, O'Born Contemporary, InterAccess Electronic and Media Arts Centre, the Lower Gallery at University of Buffalo SUNY, Mono No Aware NYC, L'École des Beaux Arts Paris and the Hermitage Museum, St. Petersburg Russia. 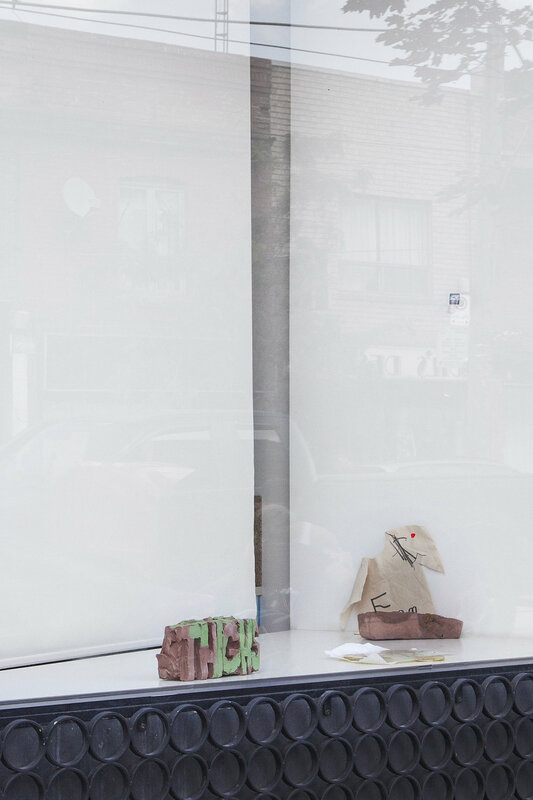 ‘see what happens' is a series of three solo exhibitions curated by Sagan MacIsaac featuring artists Darby Milbrath, Naomi Yasui and Laura Mccoy in Public Window, Toronto. Happenstance, play, and pleasure emerge in the multi-disciplinary works, which include ‘failed’ ceramic vessels by Yasui, a ‘boldly linear’ hand-painted installation by Milbrath and ‘poetically impulsive’ sculptural works by Mccoy. 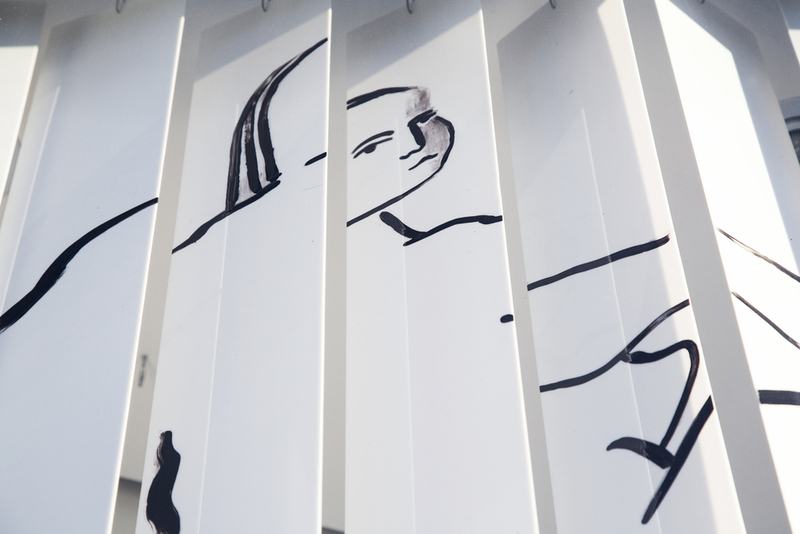 The artists will mount these new site-specific works to the Public Window space. Trained as a contemporary dancer, Darby Milbrath is a multi disciplinary artist currently focusing on drawing and painting. Darby is the chief advisor and Toronto correspondent for The Editorial Magazine. She is based in Toronto, Canada. Laura Mccoy (b. 1981) works in sculpture, performance, painting and words and looks at the well-trotted dirt at the bottom of the collective shoe of the feminine – in order to consider objects and methods that adhere to a structural precariousness or vulnerability and to reform the fabric of becoming. Her work spans a variety of media including drawing, sculpture, installation, and performance and has been included in various group shows, including showing work with Soi Fischer (Toronto), The Power Plant (Toronto), Mercer Union (Toronto), The Art Gallery of Ontario (Toronto) and as part of the monthly performance show, Doored, organized by Life of a Craphead. In 2015, she showed work at Western Front (Vancouver), Rodi Gallery (New York) and CK2 Space (Montreal.) She holds a BFA in Sculpture and Installation from OCADU and is the Art Director for the upcoming feature film Bugs, directed by Life of a Craphead, which is set to premier in December 2015 at the AGO in Toronto. Her work can be found online at lauramccoy.ca. She currently lives and works in Toronto, Ontario, Canada. 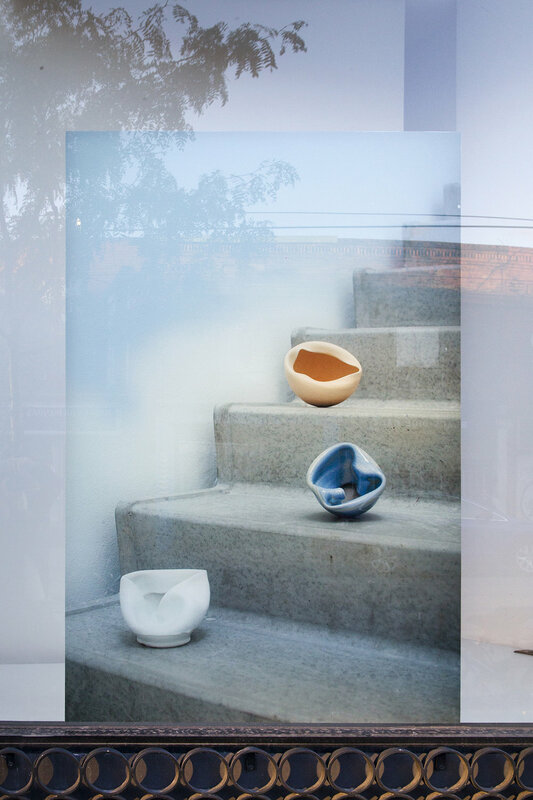 As a ceramic artist, working in sculpture, performance and installation, Naomi Yasui’s conceptual practice revolves around process, form, and happenstance. Her work enforces the notion of an aesthetic and spiritual pursuit rather than a concrete objective, lending insight into an ongoing practice. Focusing on the act of making as an extension of sentient being, she explores the intimate bond between maker and object. Yasui uses the abstraction of traditional techniques to exercise artistic expression, to place side-by-side the domestic object and conceptual art. Yasui studied Material Art and Design at the Ontario College of Art and Design. She has exhibited nationally and internationally. Recent solo exhibitions include Chapter IV: Painting with Fire presented at ESP Gallery, Toronto (2014);Chapter XI: Vases at Katharine Mulherin Contemporary Art Projects, Toronto (2013); and Wardens Abroad at Sur la Montagne (with Heather Goodchild), Berlin (2012). Recent group exhibitions include The Japaense Canadian Cultural Centre, Toronto (2015); Narwhal Contemporary Art Projects, Toronto (2014); The Power Plant, Toronto (2013); and Battat Contemporary Gallery, Montreal (2013) Yasui was granted an artist-in-residence placement at Guldagergaard in Skælskor,Denmark in 2014. In collaboration with Heather Goodchild, Yasui runs the online project The Wardens Today. She lives and works in Toronto, Canada. 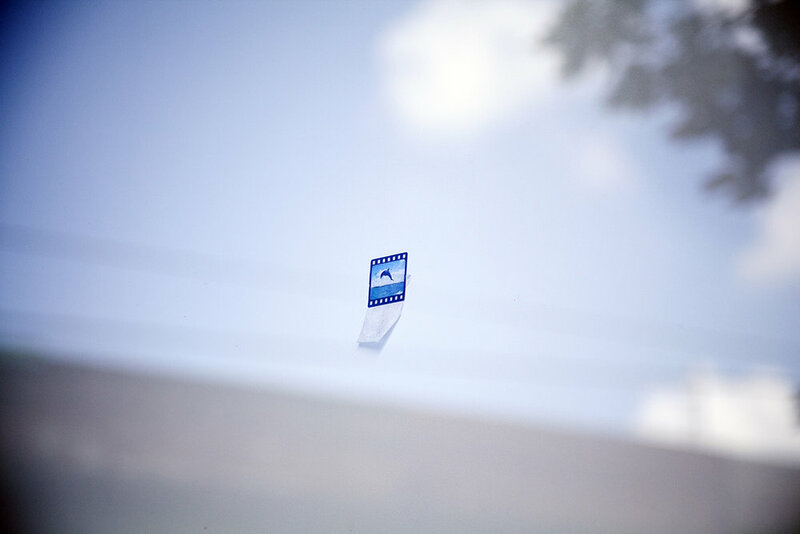 Public Window is a project space mounted in the window of Public Studio, the live/work space of artists Elle Flanders & Tamira Sawatzky. It facilitates the dissemination of contemporary art practices. Public Window is located at 1575 Dundas Street West, and is open 24 hours a day, seven days a week.